Reiki energy is an ancient form of universal life energy healing. The natural energy healing practice of Reiki originates in ancient Japan, but its spread into the West can be traced to Dr. Mikao Usui who developed his system of Reiki healing in the early 20th Century. In order to receive Reiki, you must be treated by an attuned Reiki practitioner either in person or at a distance. Reiki energy is channeled universal life force energy (chi). Reiki practitioners are attuned to the energy and taught by a Reiki Master-Teacher. Once they are attuned, they are able to channel the energy through their hands or at a distance in order to help facilitate balance in their healing partners (the person receiving the energy). While the practitioner channels the Reiki, the healing partner draws it in. In this way, the healing partner is just as essential in the practice of Reiki healing as the practitioner is. Reiki practitioners are taught a series of hand positions they can use in a Reiki session to channel the energy. However, the practice also encourages an intuitive approach to healing where the practitioner reads his healing partner's energy and places his hands where he feels the energy is most needed. Either way, Reiki practitioners learn that Reiki energy is intelligent and goes where it is needed once it is channeled. Reiki energy is pure spiritual energy, and it will never harm you. There's no risk of receiving too much energy or the wrong kind of energy. Reiki energy is a stand-alone form of intelligence and wisdom that governs and heals all life. This energy is all-knowing and understands what you need in order to heal. 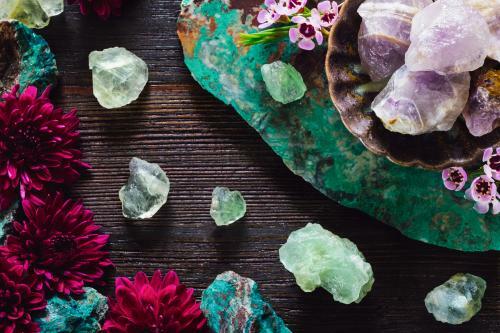 It can help facilitate balance in your body, mind, and spirit, so you can engage Reiki energy for any condition or symptom, whether it's mental, physical, emotional, or spiritual. The energy will always serve your greatest good. 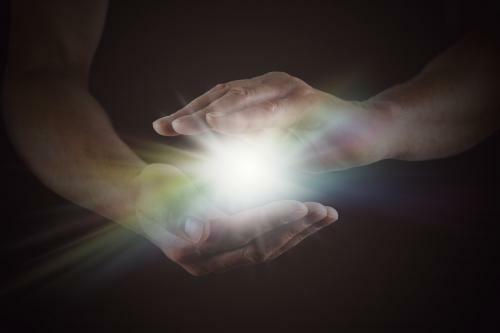 As with other forms of energy healing, when you receive channeled Reiki, your vibration raises to match Reiki's vibration in a process called entrainment where two energies vibrating at different frequencies meet somewhere in the middle into a single energy frequency. This typically raises your vibration to a higher level, which can free energetic blockages and balance overactive or underactive energy flow in your chakras, meridians, and auric fields. Energy healing modalities such as Reiki are beneficial because they help to create balance in your body, mind, and spirit. They work best in conjunction with appropriate health care, nutrition, and movement practices. Many practitioners channel Reiki to themselves daily because they understand Reiki balances and harmonizes their own energy. Reiki bestows spiritual and personal growth, so even if you aren't ill, you can benefit from a treatment. Many people have regular Reiki treatments as a preventative method against illness. If you seek in-person treatment from a Reiki practitioner, your first session will last between 60 and 90 minutes. During that time, the practitioner will talk to you to determine what you feel you need from the Reiki. He or she will also take a detailed history and may ask you questions about your spiritual, mental, physical, or emotional health. 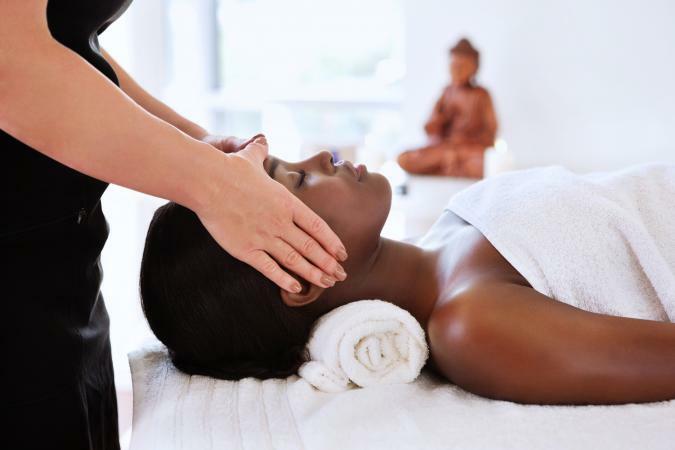 After the initial consultation, you will lie comfortably on a Reiki or massage table with your eyes closed. Most practitioners have you start out lying on your back, although you may be asked to roll to your stomach during the treatment. The practitioner may play relaxing music. She will either place her hands on you or hold them a few inches above you, moving either through a series of predetermined hand positions or placing her hands on you based on intuitive information she receives. If you are uncomfortable being touched, tell your Reiki practitioner, and she will adjust her methods for your session. During your treatment, you may notice your practitioner's hands are extremely warm. This feels comfortable and is usually relaxing. Many people fall asleep during a session. You may also notice things such as seeing swirling lights or images in your mind, or you may only feel the warmth from the hands. Some people experience an emotional release during a Reiki session that brings up certain feelings, while others just enjoy the relaxation. There is no wrong way to experience a Reiki session. If you feel uncomfortable at any time, tell your practitioner. Some Reiki healers have been trained and attuned to channel Reiki healing at a distance. If you have a distance healing session, it's best if you pre-set a time and relax somewhere quiet for the duration. However, if you are unable to do this, the Reiki will reach you, anyway. During the session, you may not feeling anything, you may notice you feel warm in certain spots or relaxed, or you may have sensations similar to a hands-on session. There is no wrong way to experience a Reiki distance session. After your Reiki session, it's not unusual to experience a cleansing process as your body adapts to the energy shifts the Reiki provided. Drink plenty of water and try to eat light, healthy foods and engage in gentle movement if you can. You may notice physical and emotional symptoms arise for a few days after your session as they work their way out of your body, but rest assured they will pass quickly. If you have symptoms that concern you, follow up with your Reiki practitioner. Like other energy healing practices, Reiki seeks to balance all aspects of you, not just the physical. This balance of physical, emotional, mental, and spiritual provides the basis for lasting health and vitality. 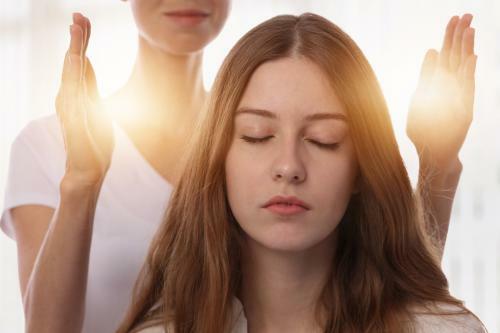 Some Reiki practitioners channel Reiki energy and provide other modalities of healing at the same time, such as crystal healing, sound healing, or polarity therapy. Different energy healing modalities work well together to intensify and direct chi in a way that best meets your needs. It's important to find a Reiki practitioner you feel comfortable with. If you feel uncomfortable, you may block the healing process. While you don't have to believe in Reiki for it to work, the process often feels deeply personal so being comfortable with your practitioner is essential for your own well-being and experience. You can also ask the practitioner about his background and training, as well as the degree of Reiki to which he is attuned. First Degree Reiki is the basic level of Reiki training. Practitioners with this degree of training and attunement have learned the basic principles of the practice, know the basic Reiki hand positions, and are attuned to the lowest intensity of Reiki energy. They are able to provide hands-on treatment that includes either pre-set hand positions or intuitive work. First Degree practitioners cannot perform distance healing. Second Degree Reiki practitioners have learned more about Reiki energy and worked with it more extensively. The energy to which they are attuned is stronger, and they've also learned ways to direct and intensify the energy. Second Degree Reiki practitioners are able to provide Reiki treatments in person or at a distance. Many of these Reiki healers also work intuitively instead of relying on the basic hand positions. People who have achieved the Reiki Master-Teacher Degree have been attuned to the strongest of the Reiki energies. They have learned and practiced everything from the First and Second Degrees, as well as learning how to teach Reiki to others. They've also been provided with rituals and practices that allows them to attune others to all Degrees of Reiki. In general, these practitioners have taken the time to master their craft. They work mostly intuitively and can provide treatment and attunement hands-on or at a distance. Reiki is a powerful energy healing modality that benefits both the person giving the Reiki and the person receiving it. It is safe, non-invasive, and often life-altering for the people who provide and receive it. It's a wonderful and relaxing way to balance the energy of body, mind, and spirit.